I am an IRATA level 2 rope access technician based in Sheffield, with wide experience of jobs, techniques and disciplines, including dust-shedding, anchor testing and installation, de-veg, wall rebuilding and re-pointing, stone restoration and cleaning. 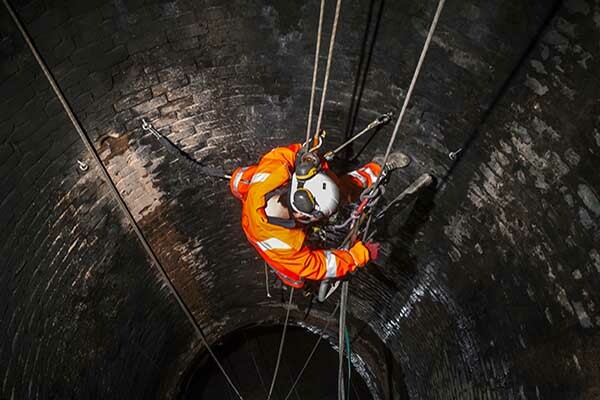 As a degree-qualified photographer I am able to bring those skills into the work environment, or am available for hire purely for photography services - my rope access gallery is available for viewing below. Click here to see my Rope Access CV. I am also an active caver and mine explorer, proficient in deep vertical rope techniques, rigging and anchor bolt installation, and confident in confined or wet spaces. Click here for my caving photography galleries. Most of my photography work has been on jobs for Vertex Access Group, and therefore thanks are due for permission to use the images presented here.